Jason Mraz is a singer with a deeply romantic streak, composing and performing hummable hits such as “I’m Yours,” “I Won’t Give Up,” and “Lucky.” Now the two-time Grammy Award winner is prepping for a new and exciting challenge: his Broadway debut on November 3, as Dr. Pomatter, an obstetrician who falls in love with one special patient in the heartwarming musical Waitress. 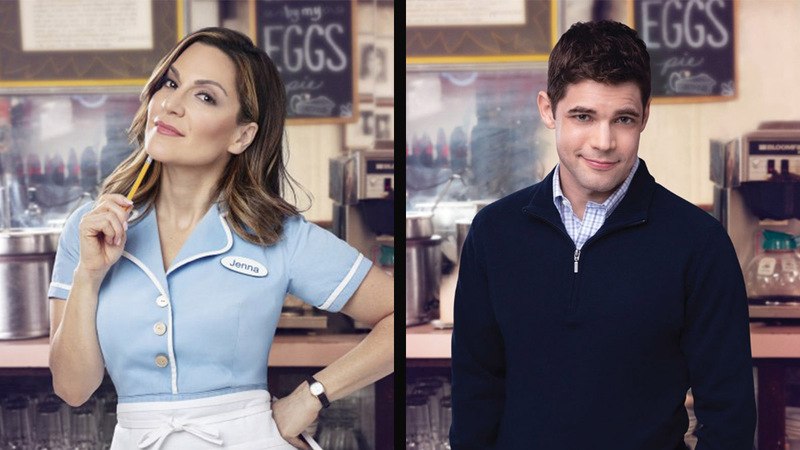 When Mraz saw Waitress for the first time, he was wowed by the marriage of Bareilles’s score, Jessie Nelson’s book, and Diane Paulus’s direction, particularly in the depiction of Jenna and Dr. Pomatter’s relationship. “When I first read it, I thought, How can this guy be liked by the audience? Is it because he’s a little bit clumsy, a little bit charming? Is it the magic in Jenna’s pies?” The sincerity of the show’s writing and performance, qualities that have earned Mraz a loyal fan base during his 15-year pop career, keep audiences invested in the story.